The UK Met Office officially started its pollen count for 2019 in March, and just a few weeks in, pollen is already reaching high levels. According to the forecaster, the pollen count on Wednesday will be high throughout the south of England, the Midlands and Wales. It will also be high in some parts of the north of England and some areas of western Scotland. The pollen count on Wednesday will be moderate in the most northern parts of England, in Northern Ireland and most of Scotland. By Thursday, Northern Ireland will also be experiencing high levels of pollen. As we reach Friday and the start of Easter weekend, the high pollen levels will start to spread further up the north of England. 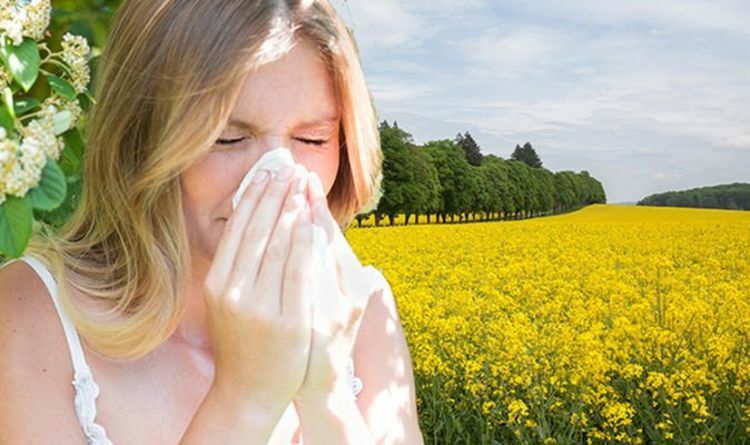 By Saturday, the high pollen levels will progress further through Scotland. Hay fever sufferers might therefore want to consider taking action to protect themselves against the pollen as we approach Easter weekend. The Met Office’s predictions come as it also forecasts very warm and pleasant weather over the next few days, just in time for the Easter break. Following a recent cold spell at the start of April, temperatures are expected to reach the mid-twenties in some parts of the UK by Saturday. “After what has been a rather cold April so far, it’s going to get warmer this week – just in time for the start of the Easter Bank Holiday weekend,” said the Met Office. The forecaster explained UK weather so far in April has been below average due to winds generally coming from a colder northeasterly direction. However, high pressure will build this week and southeasterly winds will bring warmer air from mainland Europe. This means temperatures will quickly rise and there will be “plenty of dry and sunny weather” across the UK. “From Wednesday, temperatures will start to rise day by day and with the sun getting stronger at this time of year, it’s going to feel warm or very warm by the time we get to Good Friday and Easter Saturday,” said Met Office Chief Meteorologist Steve Willington. 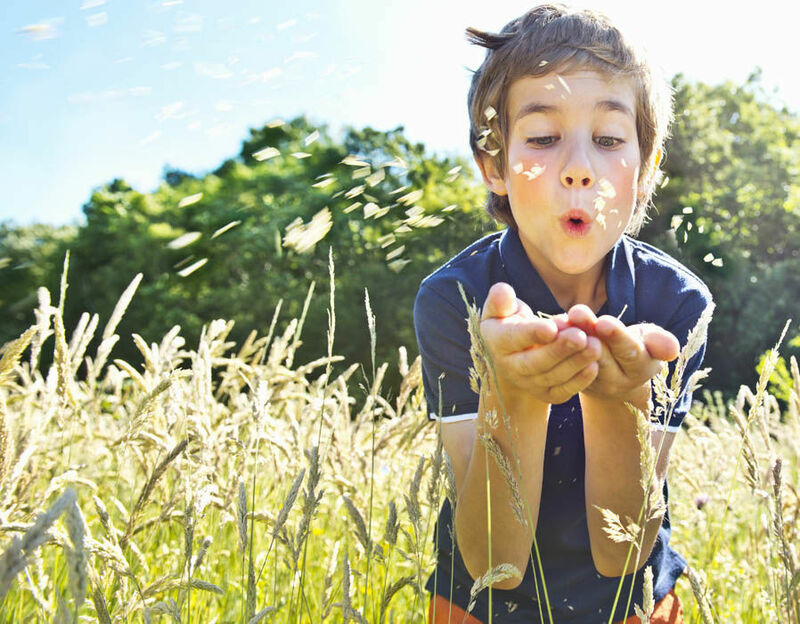 Hay fever season is upon us once again, here are our top tips to reduce those annoying pollen allergy symptoms. “Temperatures will reach into the low-twenties Celsius quite widely and there’s a good chance some places in the south could see temperatures peaking around 23 Celsius. However, the warm and sunny weather might not stick around for everyone throughout the whole weekend. According to Willington, more changeable and cooler weather will arrive from the northwest from Easter Sunday, although the southeast of the UK may remain “warm and settled” into Easter Monday. “With this uncertainty in mind, our advice is to keep up to date with the latest forecast if you are making plans,” said Willington.